It's been ten years since the attacks on our nation, and as I watch the minute by minute reports from 2001, I'm struck again by the unbelievable enormity and gravity, and the bottomless depths of emotions that I felt back then. 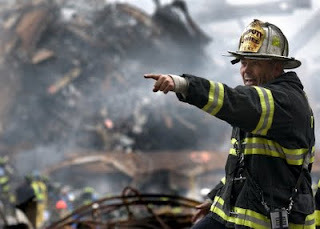 Then, as now, I'm in awe of the heroic efforts of our firefighters, our policemen, our paramedics, our ordinary citizens, who performed extraordinary deeds of selflessness and courage. 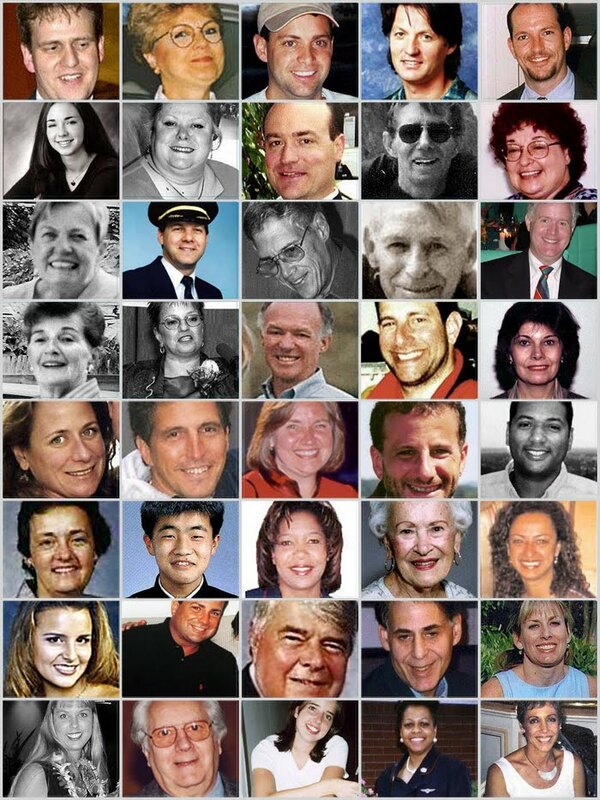 The 33 passengers and 7 crew members of Flight 93President Bush spoke about these brave men and women: “Let us also remember that the first victory in this war came on a hijacked plane bound for the nation’s capital. 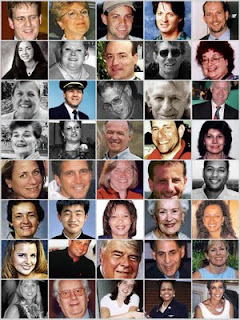 Somehow the brave men and women on Flight 93, knowing they would die, found the courage to use their final moments to save the lives of others . 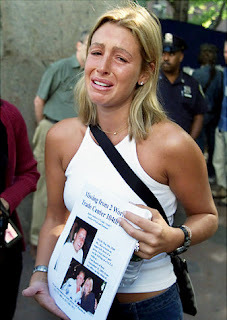 . . Few are called to show the kind of valor seen on Flight 93, or on the field of battle. 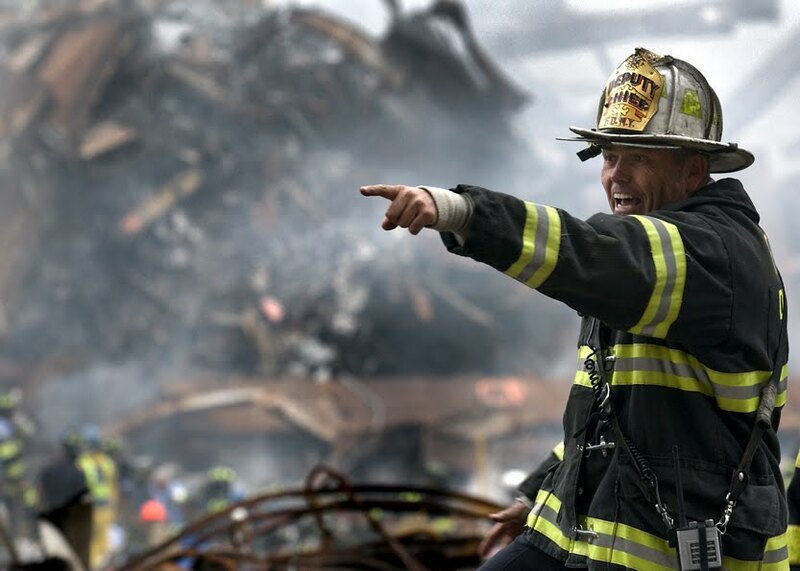 Yet all of us do share a calling: Be strong in adversity and unafraid in danger.” The actions of these brave men and women serve as a reminder of both the responsibility and privilege of citizenship of this great country - our America. 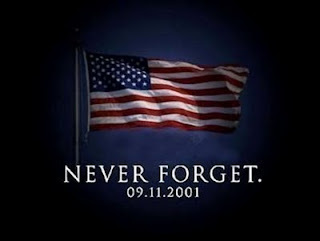 And don't ever forget the thousands of dead and missing, and the countless thousands of loved ones left behind. I was asked to make a quilt by the family of one of the victims, 39 year old Sean Canavan. 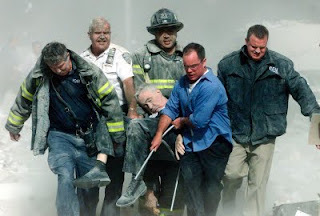 He went to work on September 11, 2001 and never came home. 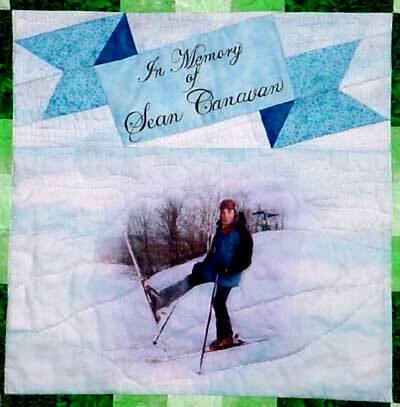 His brother Cieran's wife Jean asked that his quilt represent elements of his life - he was Irish, and loved carpentry, music, and skiing. 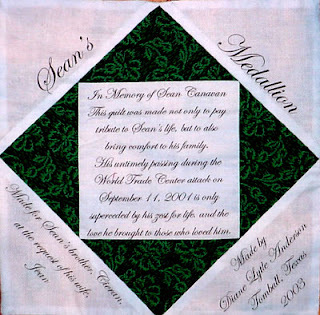 The photo of his quilt isn't very good, but here it is anyway. In addition, I participated in making blocks for the gigantic, 16,000 sq ft "United in Memory" quilt which had one block for every person killed in the attacks that day. 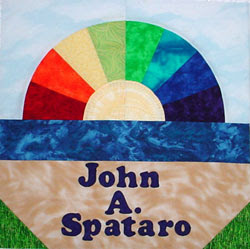 This quilt toured the country in the years following and today is being exhibited at St. John's University, Staten Island, NY. 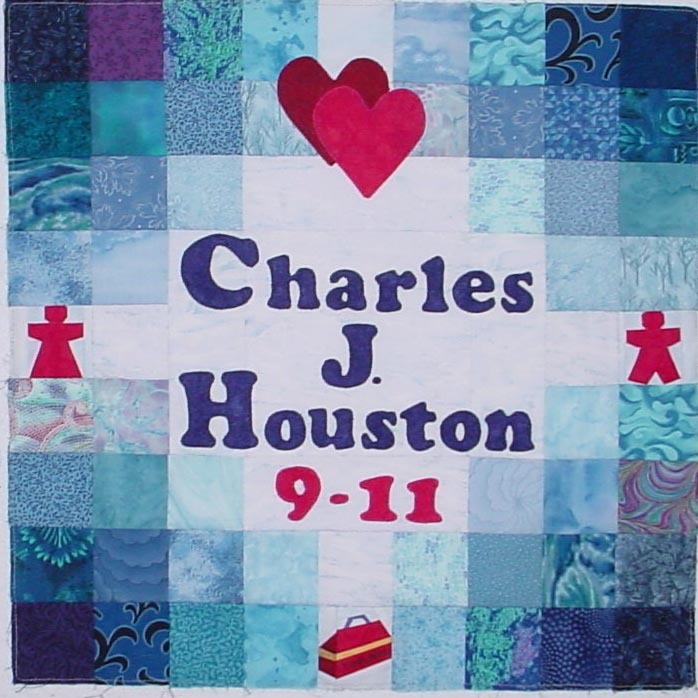 All the blocks are in the Gallery, listed by name. 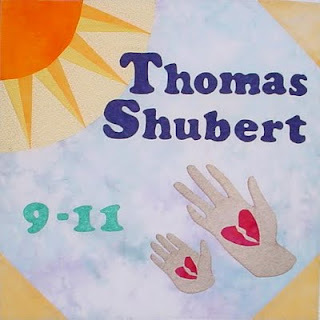 These are the four blocks I made for the quilt - the first two are indicative of the little bit of detail I could find out about them, but details about the second two eluded me. 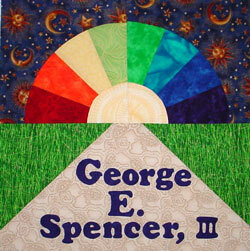 As an aside, Mr. Spencer and Mr. Spataro's blocks were sewn on my Jones Queen Alexandra treadle during a power outage...I was on a deadline. 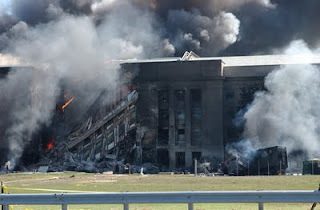 The attacks on our nation on September 11, 2001 are this generation's Pearl Harbor. Teach it, with historical accuracy and without political correctness, to your children and grandchildren. Our nation can survive anything because we, as a people, at our very core, are dedicated to freedom and justice. As Ronald Reagan said, "No arsenal is so formidable as the will and moral courage of free men and women." 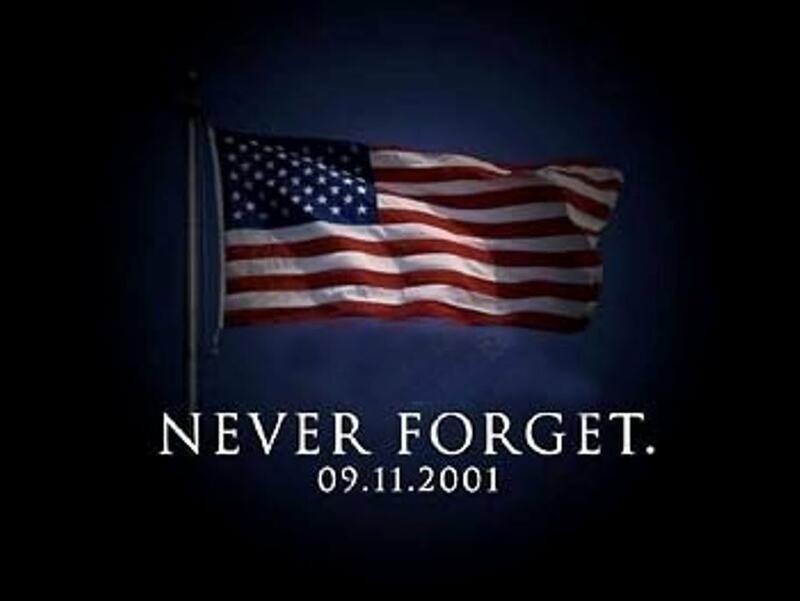 Remember the innocent victims lost and the heroic sacrifices made on September 11, 2001, and in the days, months and years following. at 2:08 PM 2 Brilliant Observations! New: Electric Quilt's "EQ Boutique"
As long as I'm sitting and waiting for Gillian to get out of dance, I thought I'd get caught up on adding the new fabric lines on Quilters Crossing's website. 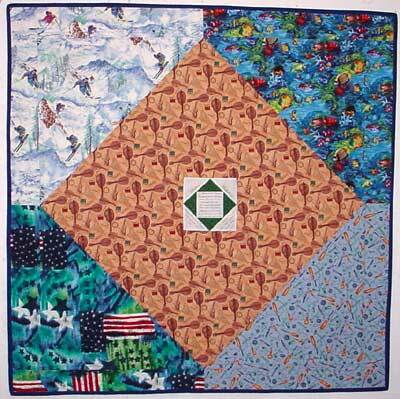 But then I got distracted by an email that came in from the folks at Electric Quilt. All I saw was NEW & FREE! and I was checkin' out their website faster than I could say, "Sorry Deb...your new collections are gonna hafta wait!" 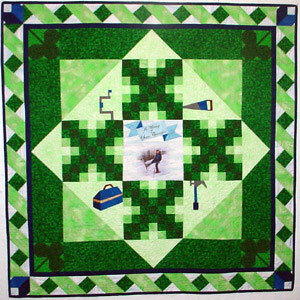 It's an online pattern shop with a free, downloadable program that comes loaded with 20 Rose of Sharon appliqué blocks. The program lets you print your pattern in the suggested size or any size you want! Sewing instructions are included where applicable, and so are template, foundation, and rotary-cutting versions of the patterns. In addition to the pre-loaded program, you can download a free set of 12 jazzy Ohio Star block variations that are totally cool. For Free. Really! Ok, you say, but why "free?" Well, I'll tell you! They've got tons of other block sets available for purchase by designers like Karen K. Stone (think New York Beauties), Marsha McCloskey (Feathered Stars), Judy Martin (Rotary Cut Stars), Angie Padilla (the cutest Appliqués ever, and so many more! And when you purchase a set of blocks and download them, they automatically go straight into your EQ Boutique program. No muss, no fuss. And another thing...if you've already got EQ7 on your computer, it'll automatically link the blocks directly to it, just by clicking one (1) button! No "Where the *#%^ did I save that to anyway?!" Being the scatterbrain that I am, I have to confess that I save everything to my desktop so I can find it again, but then I have to wade through all those shortcuts later and get rid of them cuz I can't stand the chaos. This will save me a whole lot of steps. How cool is that?! And they've got a mess of Fun Stuff: contests, freebies, a newsletter and lots more. And if you've been toying with the idea of combining software with quilting, but you're not sure you can handle EQ7, this is the perfect way for you to get your feet wet and gain some confidence in using your computer for something other than email or Farmville. Click on that badge up there to check out all the designers, block sets, and directions on how to get the most from the software. I have absolutely NO affiliation with The Electric Quilt Company other than having an intimate relationship with their software since the beginning. Back in the Stone Age, when DOS was the language of choice. They've come a long way, baby! at 8:41 PM 0 Brilliant Observations! 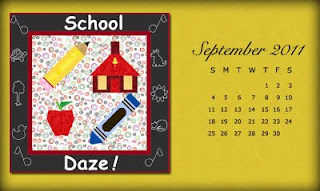 For the first time in over ten years, I'm offering you a choice of calendars this month. 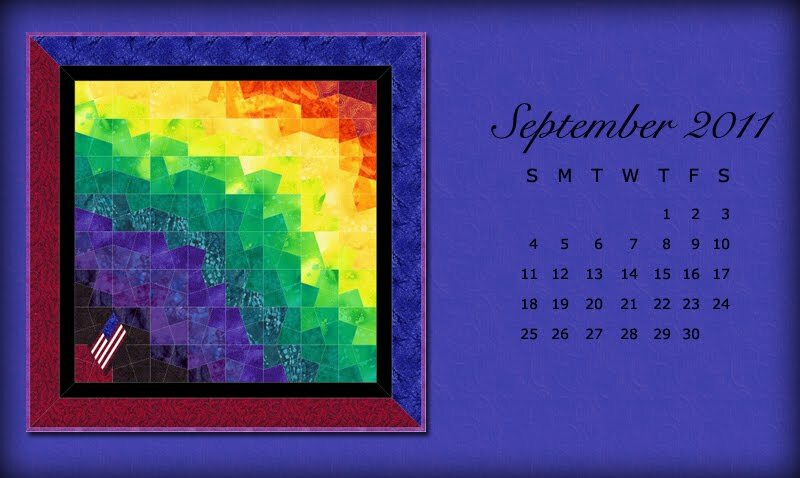 As we commemorate the 10th anniversary of the attacks on the World Trade Center, the Pentagon, and the downing of United Air Lines Flight 93, I'm giving you a calendar featuring "Broken Rainbows" - the quilt I made in the month following for the special exhibit at the International Quilt Festival in Houston. 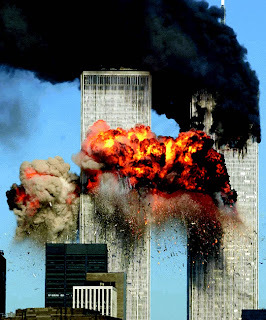 "Our perception of our world was shattered for a moment, on 9-11-01, and it, along with the New York skyline, looked pretty dark. But we're recovering, and though we might still be a little shaken, we're not by any means broken. The fabric in the lower left quadrant of the quilt was chosen to represent the lives lost and the rubble at ground zero." 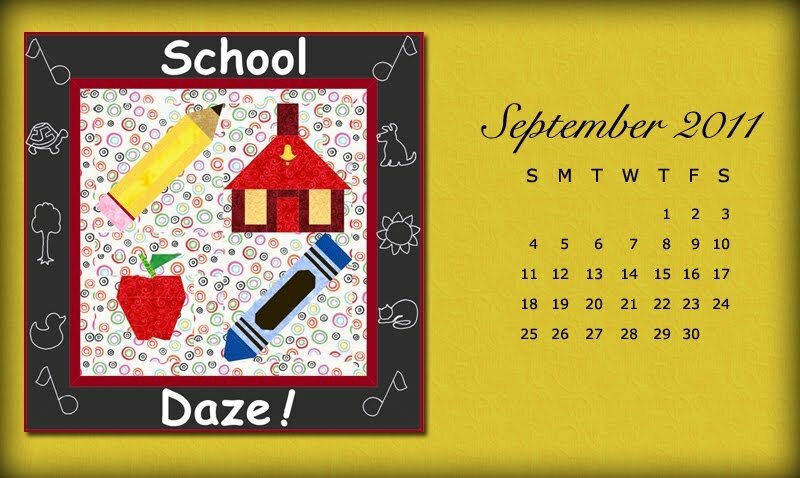 If you like either of this month's calendars, click on your choice to expand the image to full size, right-click and choose Set as Wallpaper or Background. To really jazz up your desktop, right-click on your background and choose a color that coordinates with the calendar. at 12:03 AM 0 Brilliant Observations!